Honda 2Wheelers India has extended its range of CBS equipped motorcycles with the launch of the CD 110 Dream CBS. 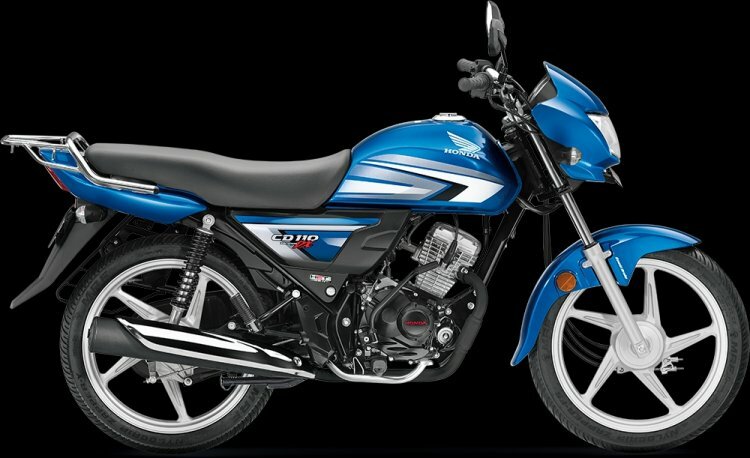 The motorcycle was launched in India at INR 50,028 for the STD variant and INR 51,528 for the DLX version. The base model carries a premium of INR 848 over the non-CBS entry-level model. The new safety regulations would come into effect from next month, which is when the non-CBS variants would be taken off from the market. The Honda CD 110 Dream CBS carries a marginal premium of INR 848 over the non-CBS model. The motorcycle will be available in two variants - STD and DLX. Apart from the addition of CBS tech, the Honda CD 110 Dream continues to feature the exact same specifications as the non-CBS model. Thus, you would find a 109.19 cc, single-cylinder, air-cooled engine delivering 8.31 bhp of power at 7,500 rpm and 9.09 Nm of peak torque at 5,000 revs. The motor is paired to a four-speed gearbox. Anchoring department comprises 130 mm drum units on both wheels and the option of a disc brake is not available. The CD 110 Dream rides on 18-inch alloy wheels that are wrapped in tubeless tyres. Shock absorption tasks are performed by telescopic forks at the front and twin-sided springs at the rear. Adding premium look to the motorcycle are chrome plated handlebar, muffler cover, rear carrier and silver alloys. The Honda CD 110 Dream's rivals Bajaj Platina 110, TVS Radeon, Star City Plus and the Hero HF Deluxe have received the CBS upgrade. Apart from the addition of CBS, the Honda CD 110 Dream would continue to feature the same specifications as the non-CBS version. In other updates, Honda introduced the CBS-equipped Navi in India last month at an ex-showroom Delhi price of INR 47,110. The Honda Navi features the same CBS unit that is available on the Activa.